When we entered the grounds of the Louvre, this gentleman, standing as still as the statues within its walls, gave us our first glimpse of not only the dizzying financial value of the treasures housed within its walls, but the importance of the Louvre as France's most beloved cultural institution. 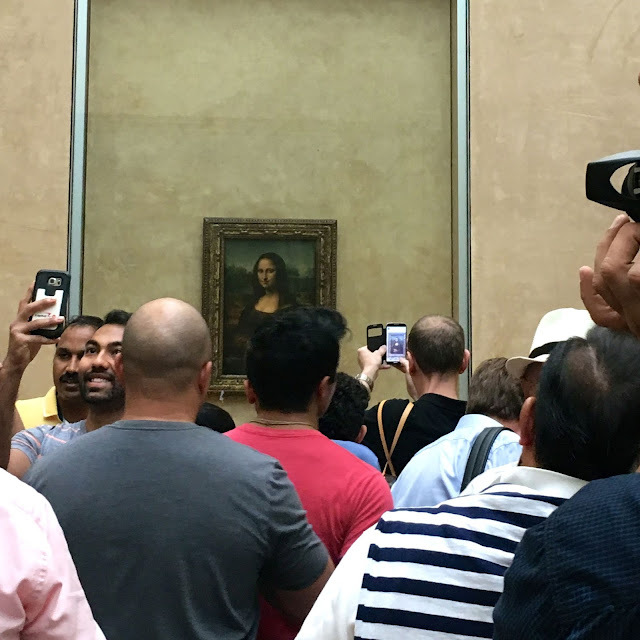 Home to some of the most famous and valuable works of art in the entire world—the Mona Lisa alone was last valued in 1962 at $100 million, and is presumably worth many times that now—and the museum, as the most visited tourist site in Paris, is worth much more than that. 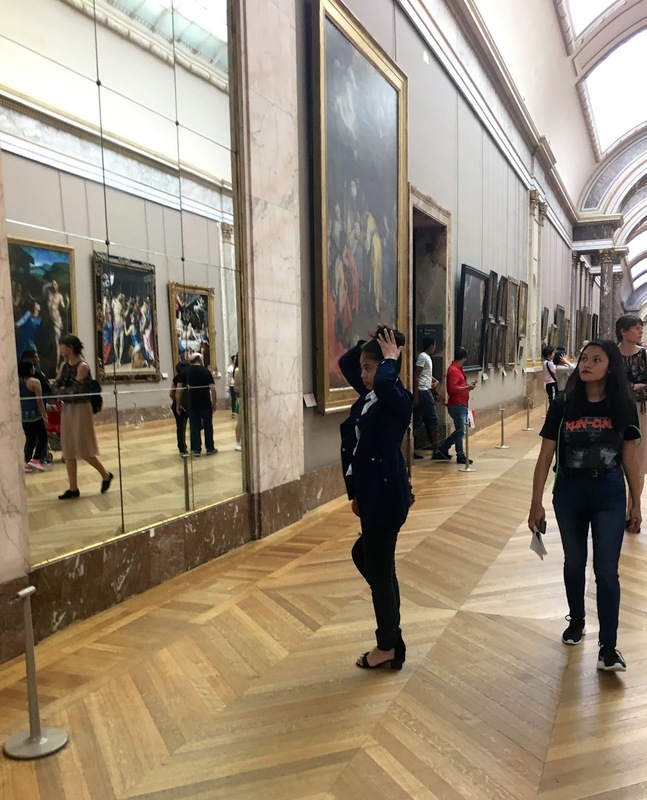 Over 8 million people visit the Louvre every year and when we were there this past spring, I have to admit it felt as though most of them had come to see the Mona Lisa that same morning. For anyone who wanted to linger and really look at DaVinci's masterpiece—like moi—it was a frustrating experience. Still, there is so much to see at the Louvre, there is no time to linger in front of the Mona Lisa waiting for a quiet moment. It won't come. 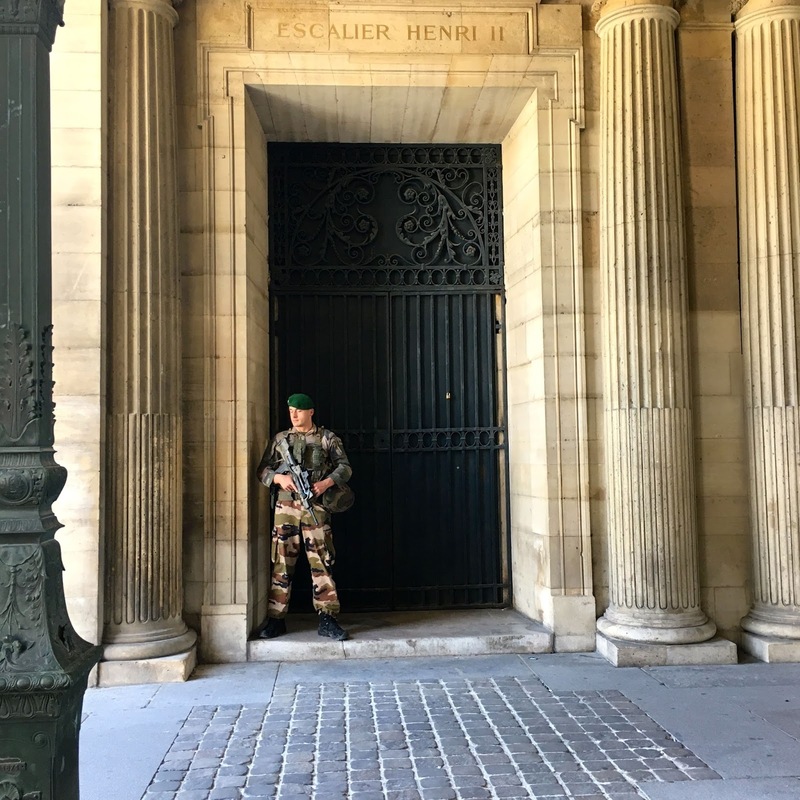 Of course, not everyone who visits the Louvre is an art lover but presumably with over 35,000 pieces of art lining its walls and hallways there is something that will stir one to awe. 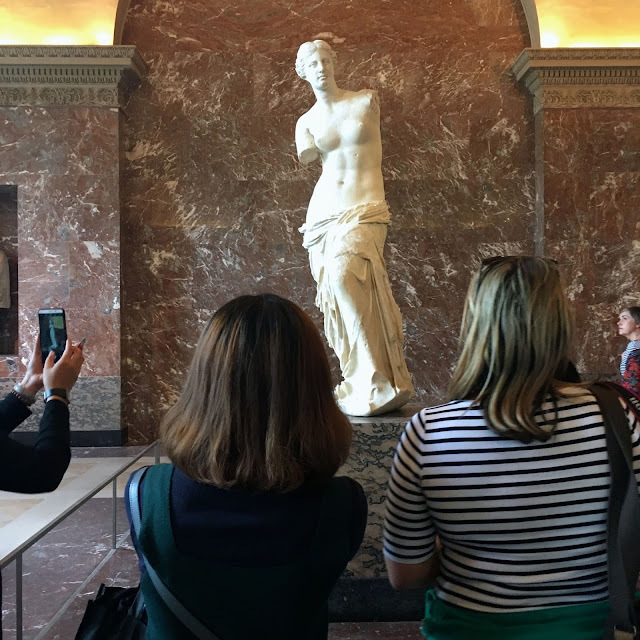 Or perhaps a visit to the Louvre is simply an item to be checked off the bucket list? 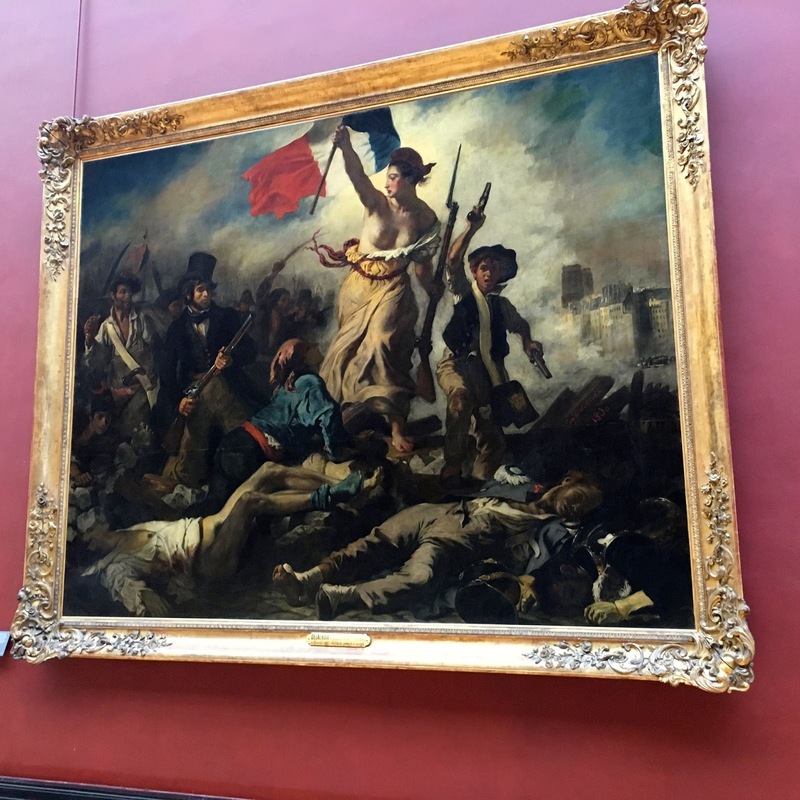 Yes, I agree that the crowds around the most popular pieces of art are claustrophobic, and simply turning in the other direction results in some of the most amazing art pieces that aren't clogged with visitors. I love that the crowds drive me to discover other works of art.